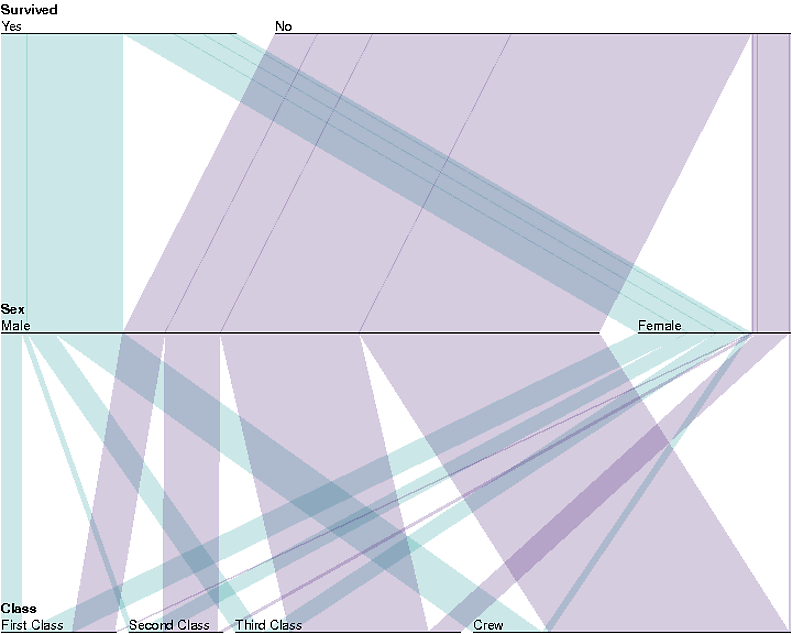 Is it possible to create “parallel sets” plot using R? I would love to be able to reproduce such a plot with R. Is that possible to do? Here's a version using only base graphics, thanks to Hadley's comment. (For previous version, see edit history). Not the answer you're looking for? Browse other questions tagged r data-visualization categorical-data interactive-visualization or ask your own question. 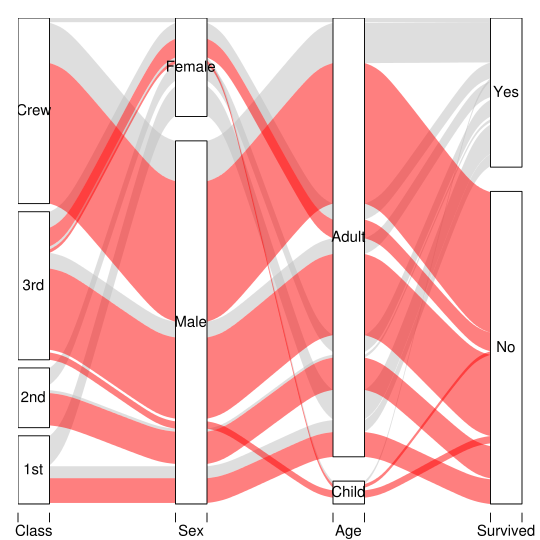 How can you visualize the relationship between 3 categorical variables? What is this chart of before and after data called? How to present the gain in explained variance thanks to the correlation of Y and X? Regression for a model of form $y=ax^k$? 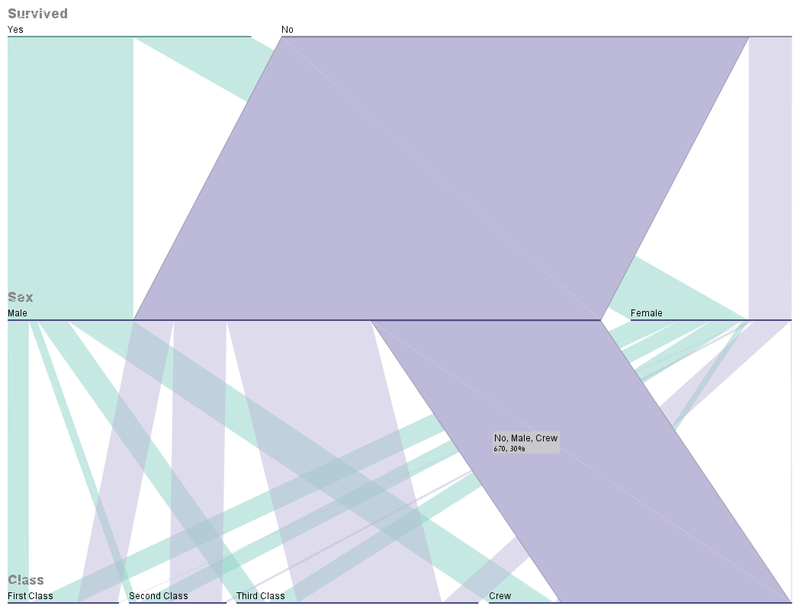 What's a good way of graphically representing a very large number of paired datapoints?